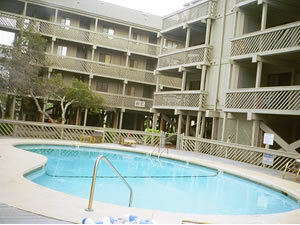 Location great to all myrtle beach attractions, great for familiy activities and single people who want a short drive to the night life of myrtle beach. Short walk to apache fishing pier which has a great restaurant located on the pier. Short walk to Sands Ocean Club and Ocean Annie's which is the Beach's most exciting ocean front beach bar with a band which plays daily beginning at 1pm until 11pm, pool/deck/ocean side. 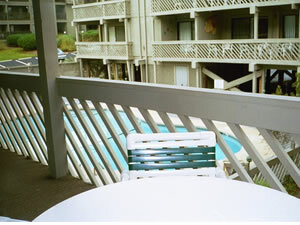 Ocean view, across street from ocean and walkway 3 miles from New Tanger shopping outlet, short walk to Apache fishing pier, Short walk to Sandy Ocean Club and club 2001. 4 miles to Broadway at the beach, between myrtle beach town and North myrtle beach town, short distance to all the attractions and golf courses. 1 bedroon with single and queen bed, bathroom attached, sliding door to front deck 1 bedroom with queen bed, bathroom attached, sliding door to back deck which is poolside. Full Kitchen, coffeemaker, crock pot, electic skillet, toaster, everything you would need at home to cook, but who wants to cook a great subway and grill, mini ABC and grocery and sports bar is across the condo walkway. also shops for Kids. Parking is directly under condo, no assigned parking, park when spot available, In 8 years I have never had a problem getting a covered park. 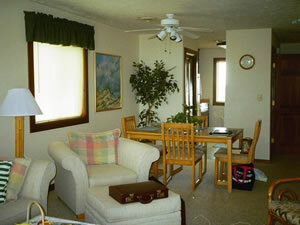 TV in DEN and 1 bedroom connected to cable, other TV is local with antenna, DVD player on Den TV, 3 miles from Mall with Movie Theater (for rainy days) great location for weddings. 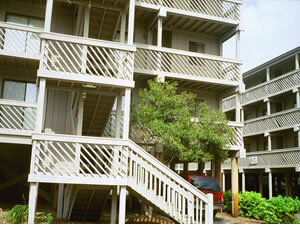 we were married at this condo, walked down the steps and down the public walkway to the beach for the wedding. Pets can be allowed. Will consider small short hair pets for monthly rentals only. Additional $100 required. Other activities/entertainment: Short distance to all golf courses and all attractions at myrtle beach This condo is in the middle of everything! Other Information about the property: 3 pools, hot tub and gas grills on property security on site during summer, maintence on site daily. No motorcycles allowed per condo association rules, no trailers or motor homes allowed. 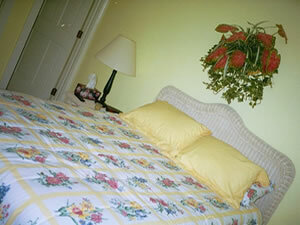 All stays require a $60 maid service fee, maid will clean the condo upon your departure.